High Quality - Walnut Plaques with Black, Green or Royal Blue backgrounds. 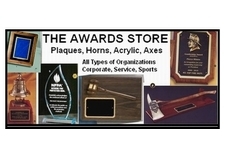 Very Impressive plaques to honor your recipient. PRICES INCLUDE ENGRAVING. Inclusion of logo may be extra.